Our extremely popular pre printed gift card backers have helped many individuals like yourself step up their gift card program and increase sales. 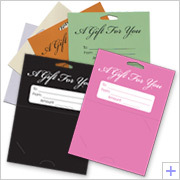 Offered in seven colors we have the perfect gift card backer for you! 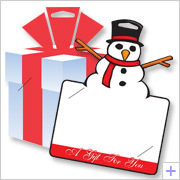 Step up your gift card program with these eye catching, die cut gift card backers. Your customers will notice them immediately with their unique shapes. Perfect for hanging on a christmas tree, or a rack display. 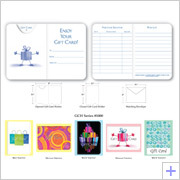 Save time and money on gift card backers by using our pre printed Holiday gift card backers. These backers are available in two different styles to best suit your application. 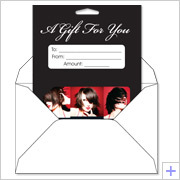 Gift Card Backers that are custom designed to work with your custom plastic gift cards. Step up your gift card offering with custom printed gift card backers today. Instant quotes and design services available. 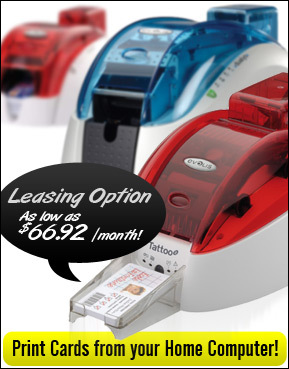 Our Acrylic Display Stands are a hot item! We offer many different styles and configurations to best meet your needs. 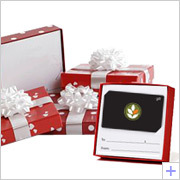 Go from gift cards to a complete, affordable Point of Sale Presentation! 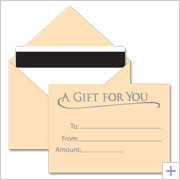 By offering protection, and an affordable gift giving presentation for your gift cards you offer your customers a full solution instead of merely offering a product and requiring them to do work. Our gift card sleeves offer the same protection as our popular plastic card gift envelopes in a different sleeve configuration. 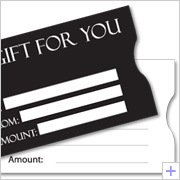 Gift Card Sleeves are available in both Black and White. Our Gift Card Boxes are irresistable! Offer them as an upsell to your gift card customers, or a promo for higher denomination gift card purchases. Real bows, ribbon, and stylish patterns adorn these unique gift giving accessories! Our cardbook gift card holders offer a point of sale solution, an envelope, and a sleeve with a balance list for ultimate convenience. A terrific upsell for your plastic gift card program. 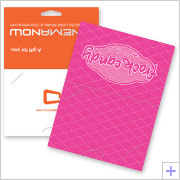 Make your gift card backer gift ready with an inexpensive gift card backer envelope. 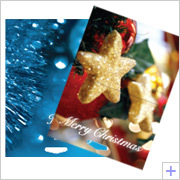 These envelopes are unprinted, sealable, mailable envelopes.